Hugging the rim of the New River Gorge for about 2 miles, the Endless Wall Trail provides hikers with breathtaking vistas by way of its many rocky overlooks and steep cliffs. The Endless Wall Trail is about 2 1/2 miles long total if you do the entire loop. But some hikers opt to make it into a moderate in and out 2 mile hike from the Fern Creek or Nutall Trailhead parking lots to the Diamond Point Overlook and back. Not only is the Endless Wall Trail used by hikers, but it is also frequented by rock climbers for easier access to the steep cliffs and rock faces that line the trail. There are a handful of secondary trails off from the main trail that are marked specifically for climbing access. Hikers are definitely welcome to explore these trails, but be on the outlook for rock climbers below. The Diamond Point Overlook arguably gives you the best views of the New River and its white water rapids below. 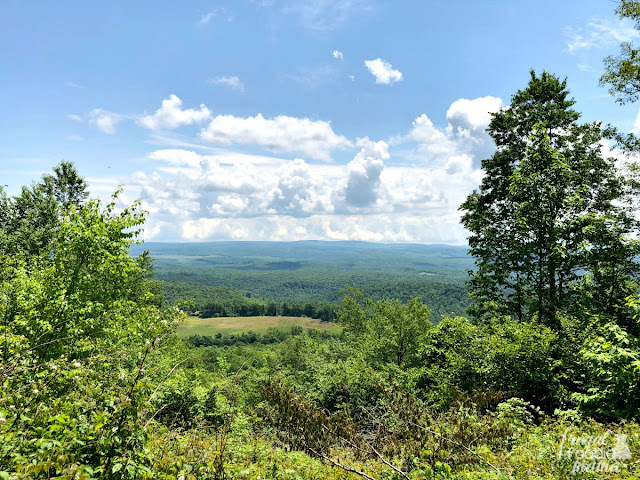 Though the overlook is by far the most trafficked part of the trail, it is definitely worth stopping at and spending a little time exploring. On the other side of the overlook, you can see the New River Gorge Bridge in the near distance as it spans over 3,000 feet across the New River below. Be sure to check out my full post on this hiking trail complete with tips & pointers! 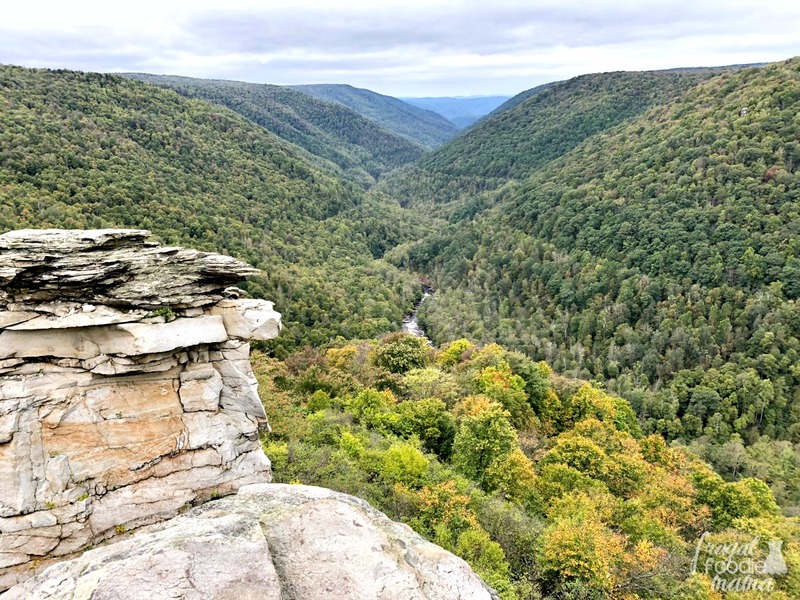 The Lindy Point trail in Tucker County is the perfect hiking trail for beginner hikers or non-hikers. It is just a short 1/2 mile walk from the parking area on Canyon Loop Road to the actual overlook. I do caution to wear waterproof shoes though if it has rained recently in the area. This trail can get quite muddy at times as we happened to find out the hard way. 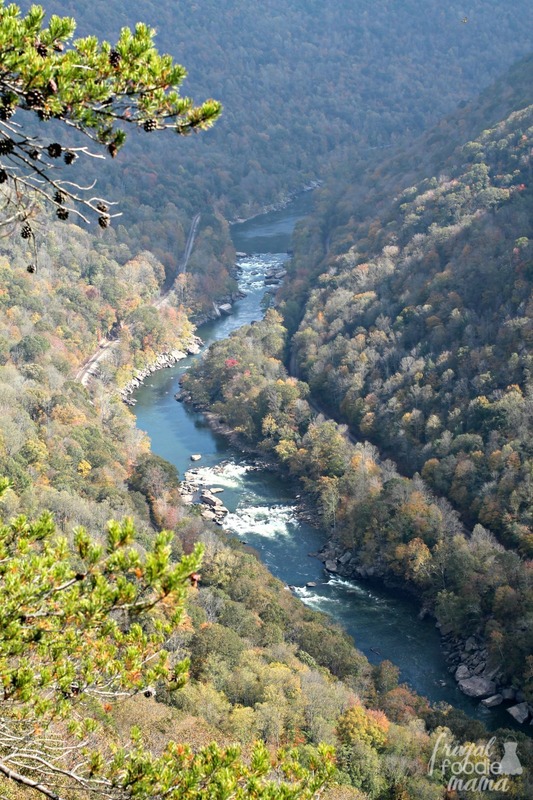 This short trail leads to some pretty big views of the Blackwater Canyon below. One of the best times to visit this trail would be in the fall during peak foliage. We made our way to this trail just a tad too early last fall as you can tell from the photos. The leaves were just starting to change when we were there. Read more about this trail by CLICKING HERE. The Maryland Heights Trail, an 4 mile round trip hike just off from the Appalachian Trail, is a challenging hike that ends in rewarding views of Harpers Ferry and the Potomac & Shenandoah Rivers below. 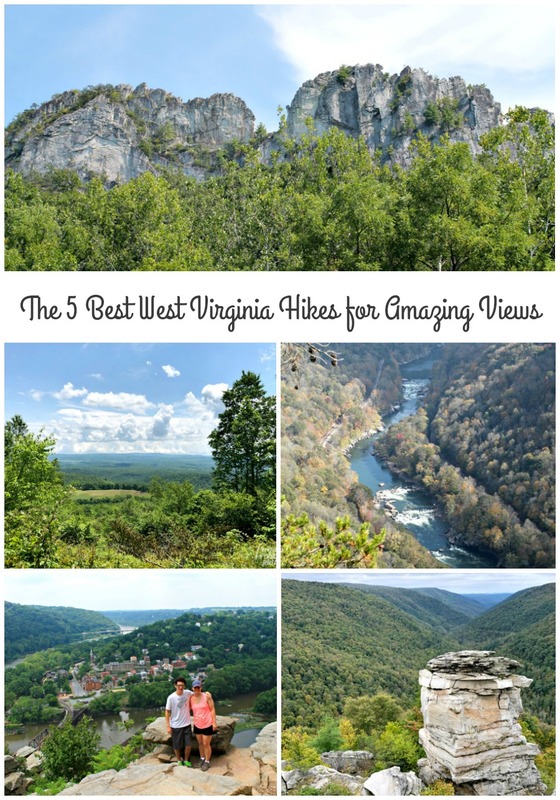 It also happens to be one of two hiking trails on this list that begins in West Virginia & ends in Maryland. The initial mile or so of the hike is a steady gradual climb with few obstacles in the path. At almost a mile in, the trail forks. 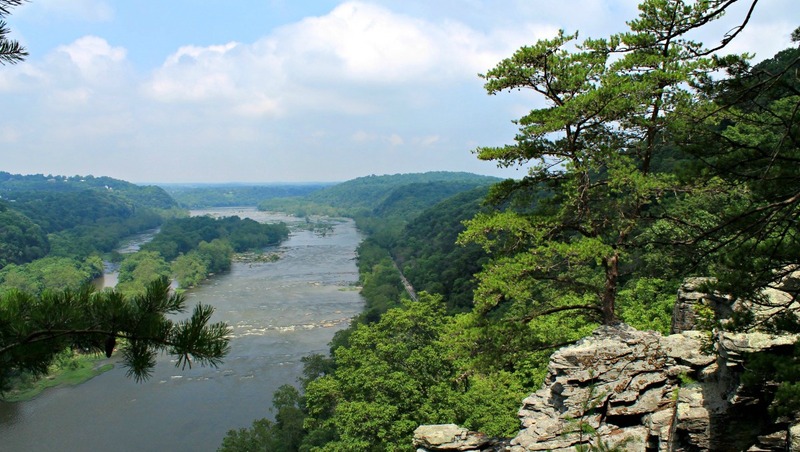 Take the Overlook Cliff Trail to the right (red blaze) for the most breathtaking views of Harpers Ferry and the Potomac & Shenandoah Rivers. The trail to Overlook Cliff does get pretty rocky and steep in some spots. 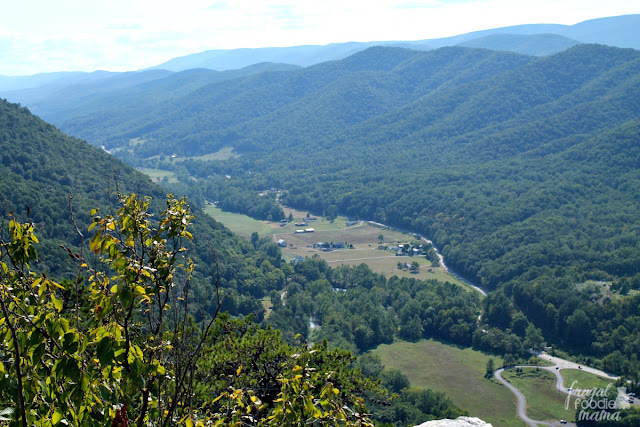 The best way to reach the highest point in the state of Maryland (aka, Hoye-Crest) is to first begin in West Virginia. Right off of U.S. Route 219 just south of Silver Lake, you will find the trail head for Maryland High Point. This hiking trail is only about 2 miles round trip, but don't let the short length of this trail fool you! The first mile of this trail is a steep incline with an elevation of gain of around 700 feet. Was this moderately difficult climb worth it? My definitive answer: Yes! (Even if I was huffing & puffing & cussing under my breath most of the way up. ;) ) The trail ends at Hoye-Crest, the highest point in Maryland with an elevation of 3360 feet. 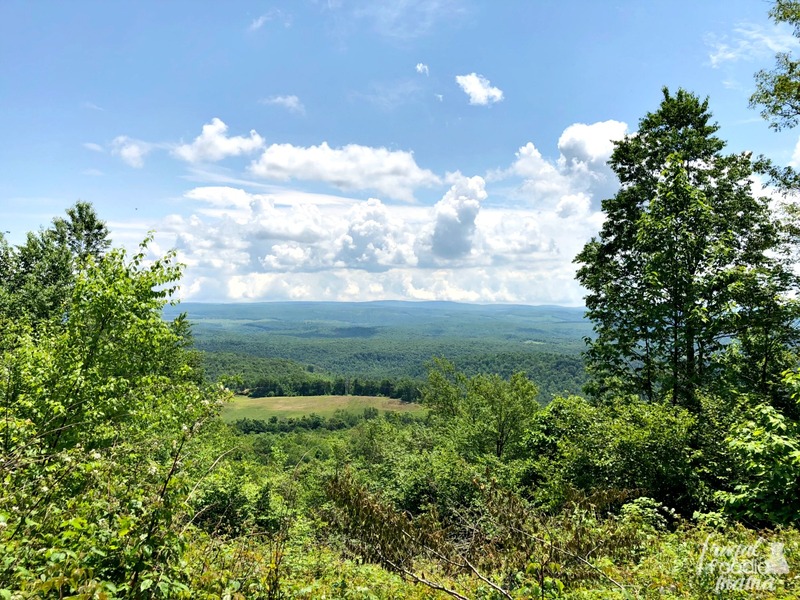 Your hard work will be well rewarded with breathtaking views of the rolling hills of Maryland below. Please note that sections of Backbone Mountain are located on private property with ATV trails. We did encounter a few ATV riders are on way up to the high point, so keep an eye out for them if you do decide to take on this hiking trail. Read more about this hiking trail by CLICKING HERE. Easily one of the most well recognizable & iconic rock formations in West Virginia, Seneca Rocks has been attracting hikers & rock climbers to the area for decades. 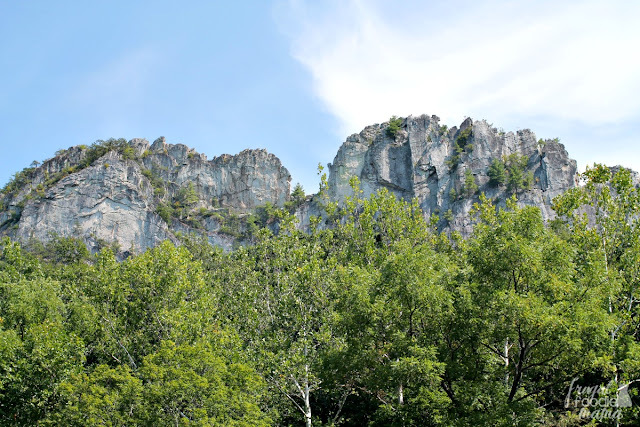 The Seneca Rocks Hiking Trail is a little over 2 1/2 miles long with an elevation gain of 700+ feet. The climb is made easier thanks to a series of switchbacks & steps. 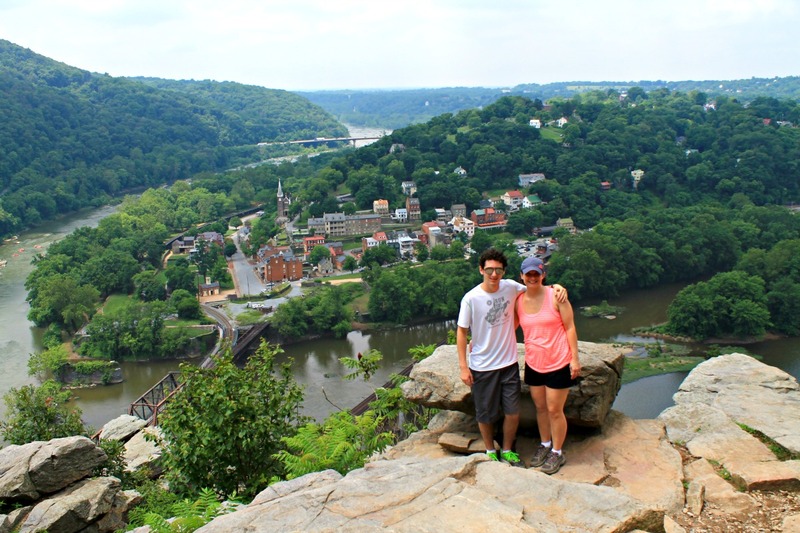 The trail ends at an overlook platform that provides hikers with spectacular views of the Potomac & Seneca Valleys below. If you happen to be feeling a tad more adventurous, you can climb the rocks above the warning sign to enjoy even more amazing views of both valleys. You might even catch a glimpse of some of the rock climbers scaling the pinnacles. Just proceed with caution and watch your footing if you do venture past the sign above the overlook platform. 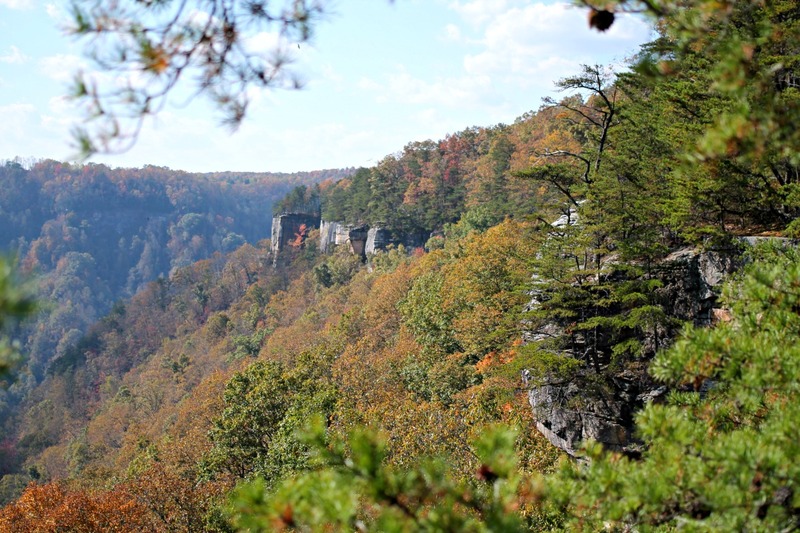 Find out more about this hiking trail by CLICKING HERE. 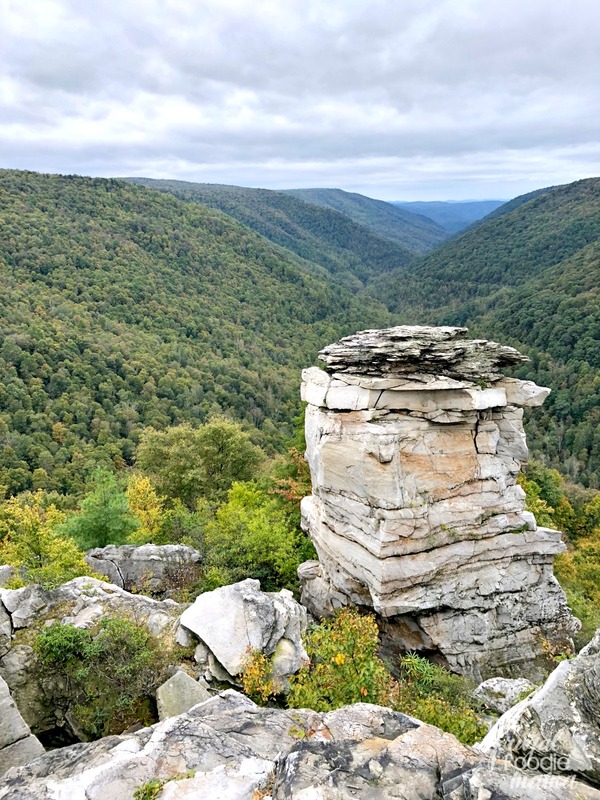 Have you hiked any of these West Virginia trails before? Which hiking trail in West Virginia do you think has the most amazing views? 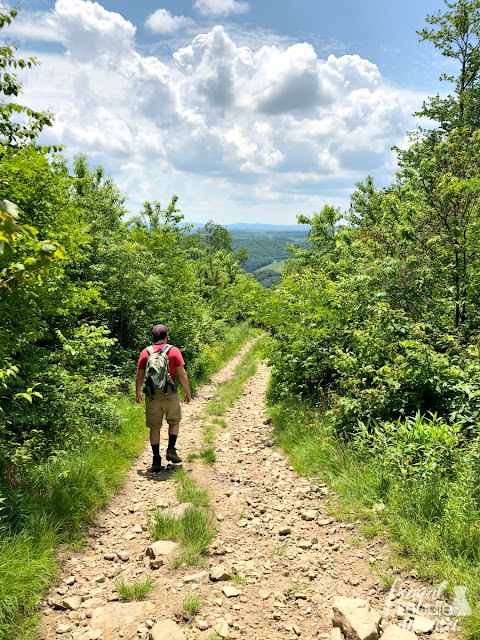 And be sure to check out all of my posts on hiking by CLICKING HERE. Such stunning sights! 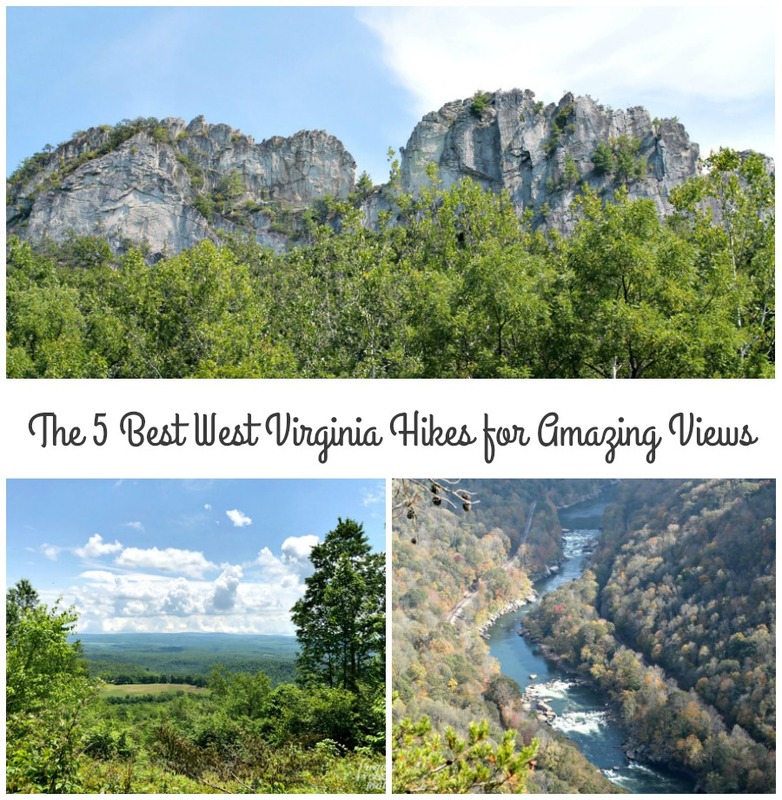 If I ever make it to West Virginia I'll definitely be revisiting this post!! These are breathtaking views for sure! Wow, so many beautiful hiking trails. Would love to go on some of them, even if hiking isn't my favorite activity. I bet my husband would love to go there, he is big on hiking.